You know that I've talked a lot about MTHFR, especially important that those with PCOS get tested, but only recently did I realize the also very important side of it that has to do with B12 methylation. I have dealt with a major folic acid methylation issue which leads me to believe that I have some form of this gene mutation. Taking a folic acid gives me anxiety that cannot be measured. Methylfolate, for me is key. But the underlying anemia for myself and my daughter now has me wondering about the B12 gene defect... More to come!! So today on the VlogCast I am disccusing the MTHFR defect, folic acid methylation and B12 meythlation and the effects of this no our lives. One thing that I didn't discuss much is the link to the B12 methylation issue and migraine. 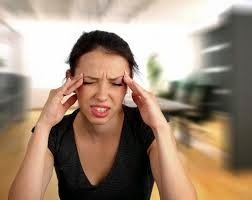 they say that one in 10 is suffering from this migraine issue from high homocysteine levels caused by the inability to methylate the B12 vitamin properly. This is the enzyme mutation of MTHFR and you should really get tested and see if you need to change or supplement with a methylcobalamin, so check into it.